The national colon cancer screening rate, or the percentage of Americans who are eligible for colon cancer screening that actually get screened, is perhaps the most important metric that can be used to measure the success of colon cancer prevention efforts. According to a recent report on cancer screening rates from the Centers for Disease Control and Prevention (CDC), those efforts might be falling short of expectation. The CDC reported virtually no change in colon cancer screening rates between 2010 and 2013. Just 58.2% of national survey respondents reported recently being screened for colon cancer, missing the organization's goal of 70.2% by a significant margin. Screening rates among Asians and Hispanics lagged behind other subgroups, and men were less likely to have been screened than women. Perhaps most importantly, only 23.5% of uninsured Americans reported being screened. "More intensive or focused efforts might be required to overcome persistent barriers among specific population subgroups," the report's authors stated. "Making available all recommended CRC screening options might increase alignment of tests with individual needs and preferences, and facilitate screening completion." 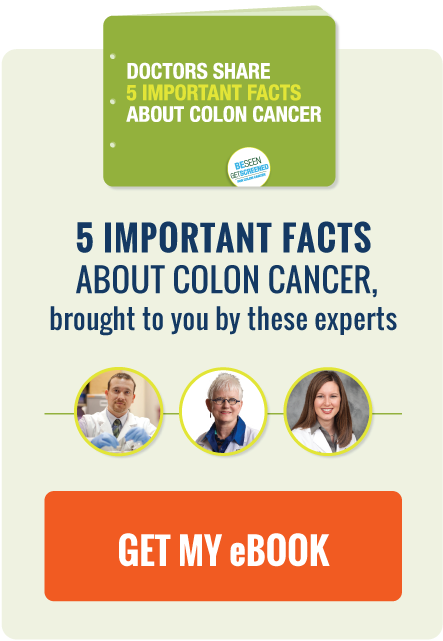 If you need to be screened for colon cancer, download our brief colon cancer screening doctor discussion guide and have a conversation with your doctor. The Oregon Public Health Division recently launched a new campaign in an effort to get more people screened for colon cancer. Chicago commuters might be a bit startled to see a "cheeky" new colon cancer screening campaign from Meredith's Miracles. Dana-Farber researchers published findings in the New England Journal of Medicine this week that indicate there may be a new option for metastatic colon cancer patients who want to extend their lives.